2015 is a big year for British politics, the current coalition government have less than 100 days in office and the 3 (or 5) main parties are battling hard for our votes. In 2014 we saw the collapse of the Scottish vote for independence, the beginnings of a Eurozone crisis and the regrettable rise of the far right home and away. This is a seminal moment in politics yet it comes at a time when the British public could not be more ambivalent to politics. I am genuinely surprised at how many friends and family still undecided about just who they’ll be backing in May. There appears to be confusion about who stands for what and which party best represents certain members of society. However, this is a history blog NOT a politics one, with that in mind let’s go back in time in an effort to ignore the present! I’m going to take us back to a period when there were two main parties who could have not been more different, and to the rise and rise of Robert Walpole, Britain’s first and longest serving, Prime Minister. To understand the life of one of history’s most controversial politicians, we have to go to the beginnings of the 18th century. Walpole hails from a Britain on the verge of economic supremacy not just in Europe, but in the newly established North America. However, this Britain is in the midst of almost continuous wars with its European rivals…looking at you France! With any war, the result of these battles was a fragile economy, and it was the foreign policies be they peaceful or aggressive, that determined which political party stayed in power. The parties in question were the Whigs and the Tories, and throughout the next century, the balance of power between the two would constantly and seismically change . 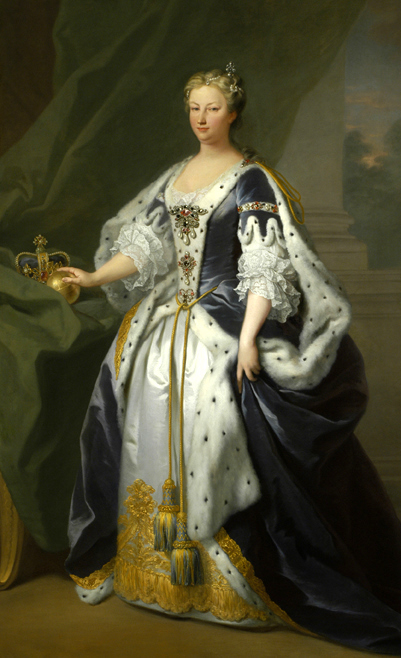 Before the collapse of the Stuart dynasty the ruling party was unquestionably the Tories, who had a strong influence over the final Stuart monarch, Queen Anne. The Tory party were far more sympathetic to the ailing Royal Family, as opposed to the Whigs, who were in favour of limiting royal influence in favour of strengthening the powers of parliament. The Whigs were also firm believers in religious tolerance (especially to Protestant dissenters) while promoting a rather warlike foreign policy. The Whigs had been instrumental in the replacement of James II by Mary and her Whig supporting husband William III and, once Anne died Tories were less inclined to exclude Stuart descendents from the succession whether they were Catholic (a major no no) or not. On the other hand, the Whigs-who were pro religious tolerance, particularly with Protestant dissenters- favoured the staunchly protestant Hanoverian George Ludwig who was 50th in line to the throne. 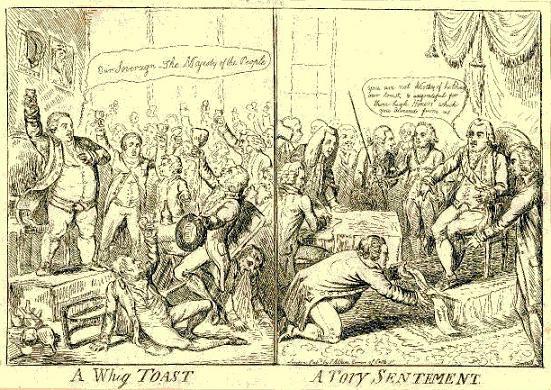 A slightly later depiction of the Tories and the Whigs? The rise of middle class and the self made man in the 1700s, meant that the Tories-who favoured a stable economy-were the choice of the country gentry who suffered greatly from expensive wars. On the opposite end of the spectrum we have the aristocrat who remained mainly unaffected by war and is more interested in getting one over on old rival, these are the guys voting for the Whigs. As we can see, the Tories were somewhat of a peace party as opposed to Whigs who were in favour of lengthy wars for the sake of trade and economy. Wars gave people the impetus to manufacture a wide range of materials causing the smaller cities of Manchester and Birmingham to thrive economically. Half a million people live in London and the 2nd largest town is Norwich (30,000), followed by Bristol (20,000), Newcastle (15,000) and Birmingham, Manchester and Liverpool all with fewer than 10,000.Whigs would argue that the European wars were the cause of the economic boom. But in a short period of 1688-1714 the national debt rose from 5 million to 15 million, the Tories grumbled that land tax sucked the country dry while the financiers of the capital grew bloated. The Tories were more interested in expanding the Empire, gaining further colonies and capitalising on the resources of those already under their command. By 1700, Britain had a staggering 13 North American colonies, a scattering of islands in the West Indies , a settlement in Gambia and an important presence in Bombay, Madras and Calcutta while the navy was the most powerful in the world. In a 1711 letter written by a member of the Tory government it is clear that the party was preoccupied with foreign trade not engaging in war. Scottish acquisitions, most notably the Scottish African and Indian colonies now become British colonies. This then leads to a growing dependency on foreign exports to boost British economy, something the Tories encouraged as it was less bothersome than European war. The British economy and a new love of fashion, the rise of the middle class and foreign culinary delights, meant that it was impossible for the UK not to depend on foreign trade. The businesses that thrived not only in London but in places like Liverpool, needed good impossible to get domestically. These included: gold, ivory, spices, flour, livestock, whale bone, furs), slaves, sugar (WI) and many more. Goods such as these were either cheaper to get from abroad or only available from other colonies. Each colony would supply the other with something else e.g. Africa sending slaves to plantations in the US and West Indies, but all of these were in direct benefit to Britain. Despite the popularity of the Tories under the Stuarts and a decisive electoral win in 1710, the House of Lords was still under Whig control. Amazingly, between the years 1694-1710; there were no fewer than 10 general elections. However, a year after the succession of George I the Act of Septennial was bought in effectively halting the almost constant electoral activity. George’s distinct distrust of the Tory party led to the meteoric rise of Whig politics and of the Hanoverians’ greatest ally; Sir Robert Walpole. From late 1701 to 1745 Walpole was at the centre of British politics as a rather vocal representative of the Whig Party. He came from an affluent family, his father was a Whig politician and his mother an heiress of Rougham Suffolk. Walpole was regarded as ‘an excellent scholar’ attending Eton until 1696 when he went to King’s College Cambridge. His Cambridge education did not last long and in 1698 he left after the death of his eldest brother Edward. Walpole’s political career began in 1701, with a successful election of Castle Rising. A year later Walpole left his position to contest for its neighbouring borough of King’s Lynn who would continue to re-elect Walpole throughout his political career. In 1715, Walpole was offered his first significant post by Queen Anne as a member of her husband’s-Prince George of Denmark-council. Despite Anne’s Tory sympathies, Walpole was given ample time to shine, and soon he was well known as a force to be reckoned with. Through his impressive intermediary skills, Walpole managed to broker an uneasy truce between the two parties. His talents were admired by both the Whigs and Tories and soon the leader of the Tory Cabinet and High Treasurer a man named Lord Godolphin, rewarded his endeavours. Godolphin was a powerful ally to Walpole who gifted him the titles of Secretary at War (1708) and Treasurer of the Navy (1710) which he briefly held at the same time in 1710. Walpole’s influence with both the Whigs and Tories was undeniable but he was not able to stop the Godolphin (who was somewhat of a Whig sympathiser) and his own party for committing what could be seen as political suicide. In 1710, Godolphin and the Whigs attempted to prosecute a minister named Henry Sacheverell who was famed for his anti-Whig sermons. 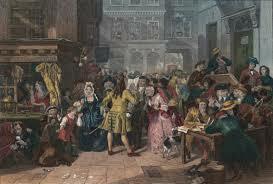 The bogus trial lead to widespread anti Whigism and the Sacheverell riots in the spring, summer and autumn of 1710. The outcome was a disaster for the Whigs who lost heavily in the general election of 1710, and the rise of a supremely anti-Tory leader Robert Harley. Harley lacked his predecessor’s Whig sympathies, but he understood the talents of Walpole and unsuccessfully tried to persuade his contemporary to join the Tories. When Walpole refused he was unceremoniously stripped of his office of Secretary at War and of Treasurer of the Navy in the following year. More controversially in 1712, Walpole’s own party appeared to turn on him expelling their rising star from Parliament and finding him guilty of ‘a high breach of trust and notorious corruption’. Walpole was eventually found innocent, but was still subjected to 6 months imprisonment in The Tower of London where he was seen as political martyr. Upon his release, Walpole capitalised on the popularity of the political pamphlets, anonymously publishing ones that attacked Harley and his cabinet. In an act of vindication, the ever loyal constituency of King’s Lynn re-elected Walpole in 1713. 1714 marks the beginning of the Whig’s and Walpole’s own boost to power. Walpole was fortunate enough to be awarded the role of Privy Councillor and Paymaster of the Forces. The reigning Whig party was dominated by Walpole’s powerful brother-in-law Lord Townshend and James Stanhope. The figurehead of the Whig party was Lord Halifax, who problematically died in 1715 leaving the Whigs to find a new leader. 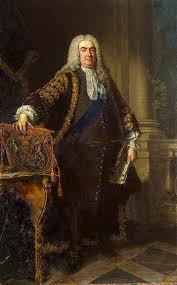 Upon Halifax’s death, Walpole gained two further titles; First Lord of the Treasury and Chancellor of the Exchequer. Upon his appointment to Chancellor of the Exchequer, the finance savvy Walpole introduced schemes to lower national debt. Unfortunately and unsurprisingly, this was a cabinet divided into factions, split into two groups, one made up of Townshend and Walpole the other of Lord Sunderland and Stanhope. Like so many debates, foreign policy a sticking point. Walpole and Townshend believed their new king to be adopting policies that directly benefitted his beloved Hanover rather than Britain. Stanhope-Sunderland were more , heartily agreeing with George I in the hope to oust their rivals. 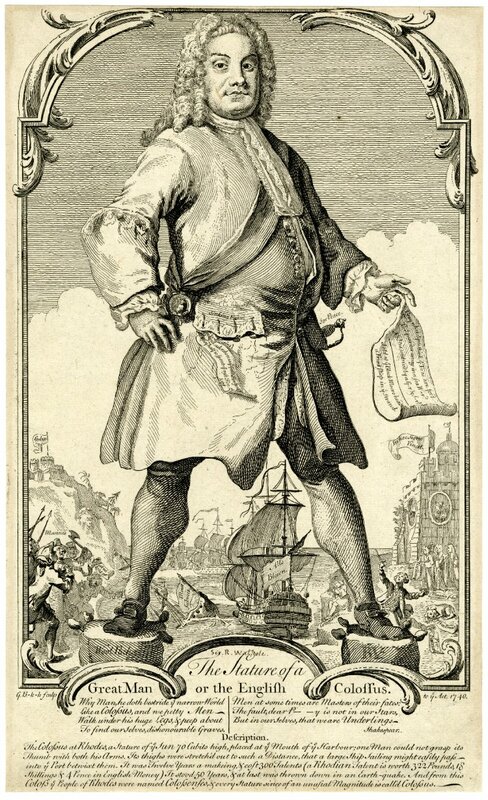 This stance worked, and in 1716, Townshend lost his title of Northern Secretary and given the insultingly low title of Lord Lieutenant of Ireland. In further humiliation, Stanhope and Sunderland had this title removed from Townshend in 1717. This led to the sensational resignation of Walpole from the cabinet in a fit of rage. Although his party’s corrupt relationship with George I was the cause of his resignation, Walpole knew it would be foolish to abandon a relationship with the Hanoverians entirely. In a sly move he utilised his uneasy position in Parliament to befriend the popular and charismatic Prince of Wales, George. George was everything his father wasn’t, he was a keen public speaker (although he spoke with a heavy German accent), he was interested in English culture and he loved the pomp and spectacle of English court. George and his father were engaged in a bitter PR war, living side by side at Hampton Court but holding separate courts. Disaffected politicians and members of the nobility made the move to Prince George’s court and would often meet at the Prince’s other home of Leicester House to plot. It was here that Walpole became close friends and chief advisor to not only the prince but also to his vivacious wife Caroline of Ansbach. Despite their closeness, Walpole brokered a peace treaty between father and son and falling back into George I’s favour, the Prince of Wales would not forgive Walpole until the death of his father. The event that cemented Walpole’s status as a political colossus and earned him the title of Premiership (the early term for Prime Minister) was unmistakably the crisis of The South Sea Bubble. The crisis would see the rise of a fear of stock markets and a mistrust of the upper classes that would last throughout the Georgian period. 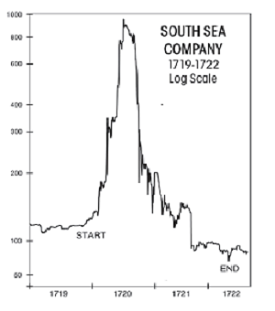 Due to the economic boom that overseas trading bought, the English began to take an interest in stocks and trading. Much of the dealings were done in London coffee houses where the educated man would go to discuss the latest domestic and foreign affairs. Coffee houses hired boys to stand by the docks to overhear information and watch for the ships. They bought back news of international trading routes, the ships coming and going from English docks. The news relayed back to the coffee houses leading to further interest in profiting from the new economic system. The fallout from the South Sea Bubble and its disastrous consequences, could not have come at a better time for Walpole. Luckily for Walpole-who was rumoured to be given a ‘tip off’ just before stocks crashed-at the time of the manic buying, he was out of favour and was not offered many shares in stock. More importantly; the stock Walpole had was sold when the market was at its highest. For the first-and only-time in his career Walpole was seen as innocent, whiter than white and the only man fit to sort of the corruption nature of the British Parliament. In 1721, an inquisition directed at the members of Parliament who were involved led to the implication of several high profile names including Walpole’s old rivals Stanhope and Sunderland. Figures such as the Chancellor of the Exchequer (John Aislabie), the Postmaster General (James Craggs the elder) and the Southern Secretary (Craggs the younger) were dismissed and imprisoned as punishment for their corruption. Luckily for Stanhope and Sunderland, Walpole’s influence kept them from being punished. However in the same year, Stanhope died while Sunderland resigned leaving Walpole as the most important figure in the Whig administration. In the spring of 1721, he was appointed First Lord of the Treasury, Chancellor of the Exchequer and Leader of the House of Commons. This meant that Walpole was now in control of the financial and administrative factors of Parliament. Historians tend to date this period-specifically when Walpole is named as Lord of the Treasury-as Walpole’s first appointment to the ‘Premiership’. 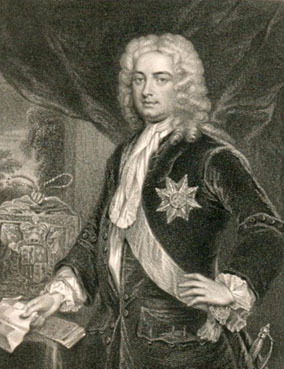 Throughout his Premiership under George I, Walpole succeeded in eliminating most of his political rivals, in 1724 his primary threat Lord Carteret lost his post of Southern Secretary and was appointed-as Lord Townshend had been-to the lesser post of Lord Lieutenant of Ireland. Carteret’s political threat in England was dead but he played upon the distinct anti-English rumblings in Ireland. Sadly the alliance between Walpole and Townshend was to end not much sooner due to what Walpole saw as forwardness. Townshend worked tirelessly for George I to help keep the country at peace in turbulent times one of finest moments being negotiating a treaty between France and Prussia. 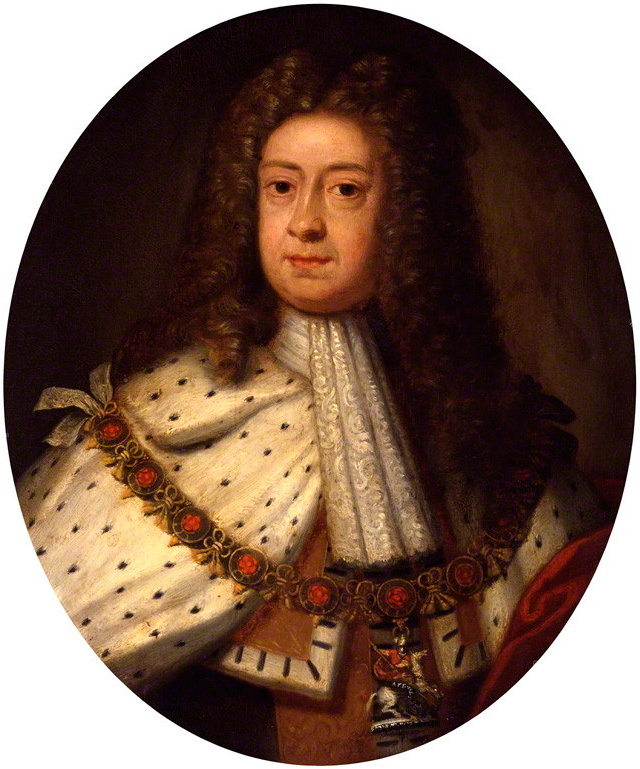 The treaty was a triumph but Townshend excluded Walpole from the talks leading to tensions between the two. After these early problems, Walpole found himself able to expand his power beyond anything he’d dared to imagine. Truly, his was a star that continued to rise until George I’s death and then-to everyone’s surprise-much of George II’s reign due to his friendship with Queen Caroline. Walpole is one of history’s most fascinating men, he successfully rose to dizzy heights of power, seamlessly removing his rivals and keeping his hands clean. Equally corrupt and charismatic, Walpole’s self introduced Premiership gave him overwhelming power over the ruling monarchs. He averted financial ruin and oversaw influential foreign and economic policies that would affect Britain for years to come. So why is not more remembered? This could be for a number of reasons. For one, the early Georgian period is vastly underwritten, unsurprising as the figures of George III (supposedly mad) and George IV (fat and terrible) captivate public imagination in a far more. It could also be because of popular Tudor history, which tends to site Cardinal Wolsey as the first Prime Minister. The question of defining a Prime Minister comes into play, governments and parliaments have been taking power from kings since the 1300s, but never-in my opinion-has one man not of royal birth wielded such vast power over a country. You could make the case for Cardinal Wolsey and Thomas Cromwell, and while the arguments are compelling, both were eventually stripped of power through the whims of the powers that be…major spoilers for Wolf Hall fans! So what do you guys think? Is it a thumbs up for Walpole and his wicked ways or a disapproving nod at his tendencies to doctor the truth? 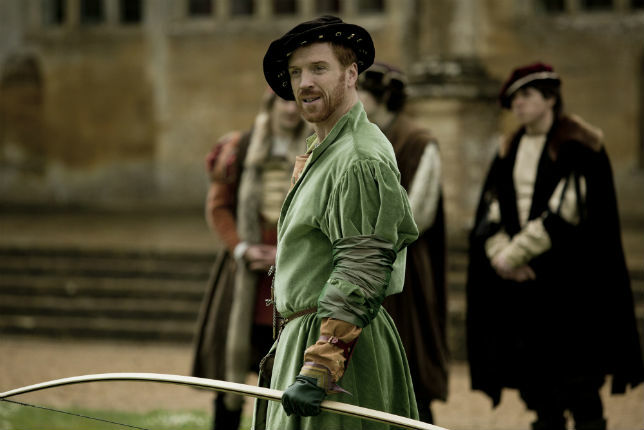 While we’re talking wicked ways keep your eyes posted for a review of (future Bafta winner) Wolf Hall, which is compelling, beautifully shot and responsible for my new crush on Damian Lewis in tights! Previous Does History Still Matter?